“The strength of the Constitution lies entirely in the determination of each citizen to defend it,” said Albert Einstein. And so it has been the case with hundreds of public employees in America who discovered that when they criticized their workplace regarding matters of public concern or when they were labeled as “whistleblowers,” they experienced retaliation, scurrilous attacks, and physical peril. It happened to me, beginning with the statement “…[Y]ou will be uprooted and blown away and probably will never know the reason why….” The advertisement from which that quote was taken signified one thing to Maggi Hall when she read it: Keep your mouth shut or you’re going to get hurt. Placed in the newspaper by her school superintendent, he intended to frighten into silence and submission not only Hall but his entire faculty as well. The Supreme Court emphatically declares: “Teachers are the members of a community most likely to have informed and definite opinions as to how funds allotted to the operation of the schools should be spent. Accordingly, it is essential that they be able to speak out freely on such questions without fear of retaliatory dismissal” (Pickering v Board of Education, 1968). Over five decades since that landmark decision teachers, as well as all public employees, have yet to attain their inalienable right to free speech. The evidence to support my claim that totalitarianism flourishes within the public employment system of our democratic society is found in the hundreds of court cases between public employees and their employers. This book, however, will deal exclusively with the rights of public school teachers though the consequences are the same for all public employees. It is also Hall’s claim that there is a direct correlation between repression of open debate and the demise of our schools. Fear of retaliation terrorizes teachers into silence, robbing them as well as our nation, of their voices in shaping the educational system. If teachers’ opinions are not given or requested, they often conclude they have little to contribute, that they are somehow inadequate. The feeling of inadequacy leads to diminished self-esteem and ultimately to an attitude of defeat and dissatisfaction. For self-preservation or out of fear, demoralized educators, unconsciously or by choice, many times embark on a course of collusion with authoritarianism. But the inevitable consequence of such a destructive journey saves no one. Instead it produces two groups of victims: the teacher and the student. By virtue of the correlation between self-respect and lack of freedom to speak and its ultimate threat to education, Hall proposes that free speech is much more than a constitutional privilege; it is a moral obligation. In the words of Supreme Court Justice Brandeis, “Those who won our independence believed…that public discussion is a political duty….” Public discussion created this democratic nation; open debate brought life and liberty to its people. It is, in fact, the only means by which we can revitalize our decaying educational system. More money won’t do it. Modern school buildings won’t do it. And innovative programs with catchy titles won’t do it. Communication will – between teachers, administrators, parents, and students – open, frank, and enthusiastic. How do teachers halt administrative authoritarianism with all of its side effects? First, teachers, as well as all public employees, must believe that teachers are citizens first, employees second, and as such are granted under the United States Constitution the right to protected speech when addressing matters of public concern. Teachers must demand that their rights as citizens be acknowledged. But more importantly teachers must garner the courage to assert those rights, to liberate their voices as the most powerful instrument they have in initiating reform. Teachers united voices of freedom must be heard above the unconstitutional command for silence. All teachers have this in common – We’ve sat year after year as our teachers shared with us their knowledge, attempting to inspire and to prepare us to become productive citizens of a democratic society. We’ve also known that our teachers had to do more than just teach; they had papers to grade, rolls to call, clubs to lead, and meetings to attend. But what we may not have known is that sometimes our teachers were called upon to do something out of the ordinary, something rather spectacular. Sometimes our teachers were called upon, personally, to defend the Constitution of the United States of America. Little did Hall realize when she wrote a letter of complaint to the newspaper in Marion County South Carolina criticizing a proposed expenditure of $11,000 in public funds to fly seven school boards members to California for a convention that she would one day be called upon to defend her right of dissent and thus the very cornerstone of democracy itself – the First Amendment. Hall was harassed, intimidated, and terminated. When Hall initiated a lawsuit in federal court accusing Marion School District II of denying her constitutional rights, Hall's attorneys for the South Carolina Education Association discovered piece after piece of a complex and intriguing puzzle. This mosaic of collusion included district personnel carrying out espionage acts: following her about town, even to her doctor’s office ten miles away; hiring a photographer to take a picture of her at an out-of-state meeting; even driving by her house on numerous occasions. Hall's true story moved swiftly from an isolated small rural county incident to become a much publicized legal battle in South Carolina, concluding some years later at the doorstep of the United States Fourth Circuit Court of Appeals in Richmond Virginia. It became yet another victory for the rights of public employees to address matters of public concern. Indeed, the constitutional right of free speech was, once again AFFIRMED. Hall v. Marion School District II (1994) was viewed by many school administrators as a possible threat to their hegemony over their teachers, and by teachers and teacher unions as validation of their right to speak out on educational issues without fear of reprisal. Central to AFFIRMED is Hall's particular story, a narrative which has wide implications for those who one day may travel the path of public protest. Hall's book deals with legal and controversial issues. The Appendix gives suggestions to increase public employees’ awareness of their free speech rights. It clarifies the responsibilities which must accompany the exercise of free speech. But there is a broader message AFFIRMED offers its readers, a message to each American: The Constitution of the United States of America must be defended regardless of the sacrifice; for in the final analysis the Constitution is our only bulwark against tyranny. Theme: Public employees are protected under the First Amendment of the United States Constitution to criticize their agencies with regards to matters of public concern. A brief account of how my family and I settled in Marion County is given, my establishment of a county museum, and a tyrannical experience I encountered my first month teaching in the public school system. In order to understand the environment in which a story of this nature could transpire, I describe the topography, the political, social, and educational structure of this small southern town. For it is indeed our environment that plays heavily in forming our thoughts, beliefs, and especially, our actions. When I read in the paper that our superintendents had planned to send seven board members to California for a meeting that would cost over $11,000, I am outraged by such a waste of taxpayers’ money, especially since our students rank at the bottom nationally on standardized tests. I reflect back to earlier disappointments since moving to the county, an area socially, culturally, and educationally impoverished. I decide to voice my concerns in a letter to the editor of our newspaper. And that’s when the trouble begins. After my first letter appears in the paper, response to my protest from school administrators is negative. I become suspicious and decide to learn more about our school district. I invoke the South Carolina Freedom of Information Act, asking my superintendent for financial records and travel expenses. His refusal to comply with the state law intensifies my curiosity and my quest. I write more letters to the editor and to my superintendent requesting information. My principal begins to harass me. The situation escalates to a dangerous point when my superintendent buys space in the local newspaper and prints a promise that I had better keep my mouth shut or else. I ask the county school board which oversees the local school boards to censure Dr. Foil for his threatening ad in the newspaper. It refuses. As intimidation grows starker I become even more paranoid. I plead for assistance form the county board. Again it refuses to help me, itself becoming a co-conspirator in the denial of my First Amendment rights. When my crusade for fiscal accountability spreads to surrounding counties, The State newspaper, in its Sunday edition, publishes an extensive and uncomplimentary article about the administrative intimidation I am experiencing. The following morning, two weeks before school ends for the year, Dr. Foil walks into my classroom and promptly transfers me to the district office. I am not allowed to say good-bye to my students or to my co-workers or pack up my twenty plus years of accumulated teaching materials. Dr. Foil had promised “that I would be blown away and never know the reason why.” I was sent to the district office where I remain in isolation until the school year ended, eight days of loneliness. During my incarceration I promise that I would learn all I could about teachers’ rights and do my best to translate my experience into something beneficial for teachers as well as all public employees. Newspapers and television stations descend on the office for interviews with Dr. Foil and with me. My photo and story run on the front page of The State and is picked up by the Associated Press and National Public Radio. A month into summer vacation the school board finally notifies me of its intent – termination. It grants me the option of either a public or private hearing to show just cause as to why I should not be fired. I choose a public hearing which ultimately becomes the longest hearing of this nature that either set of attorneys had ever experienced. The school district calls almost three dozen witnesses to speak against me. Television cameras capture the hours of testimony and newspapers across the southeast report on the event. The public hearing is a mockery of the judicial system. Ridicule and humiliation are pronounced during the course of this eighteen hour, four day hearing. The board chairman refuses to quell the rambunctious standing-room-only crowd. The principal’s testimony reveals her duplicity in the conspiracy, a fact for which she takes great pride. Former colleagues testify in an attempt to prove me “disruptive to the educational process.” I am accused of verbally abusing children, behaving irresponsibility, refusing to supervise my students, and being dishonest. My testimony reveals what I had been attempting to do within my rights as a citizen concerned over the waste of taxpayers’ money and the superintendent’s refusal to open public records for scrutiny. Two weeks after the public hearing ends I receive a certified letter from the school board terminating me effective immediately even though I’d received that spring a superior evaluation. I am found guilty of being “disruptive to the education system” and summarily dismissed. During my many months of unemployment I seek jobs, but to no avail. I then established the second environmental educational center in South Carolina as a volunteer for a state conservation organization headquartered in Mullins. Opening statements by attorneys for the defense and the plaintiff set the stage for a three day bench trial. The superintendent is called as my first witness. His testimony confirms our suspicions: He had set a trap for me in order to fire me for “legitimate” reasons. He shows no remorse, only disappointment that his plan failed. I write of the need to voice our dissent, to exercise our First Amendment rights, to stand up and be heard when we disagree with public policy, no matter what the consequences might be. The federal trial continues with testimony from me as well as from two teachers who did not sign the petition requesting my transfer. Through a powerful closing statement my attorney defends the rights of all public employees as citizens. Finally the Court’s decision comes down – VICTORY for teachers’ rights! The school district, dissatisfied with the outcome, appeals the decision to the Fourth Circuit Court of Appeals in Richmond Virginia. I continue my public awareness campaign for school reform by placing a full page ad in the newspaper. After its publication the superintendent decides to take an “early retirement.” The chairman of the county school board is unseated in the next election and all but one of the local school board members is fired. My principal announces the day my ad appears in the paper that she is seeking a transfer to another county. My trip to the Fourth Circuit in Richmond Virginia is a frightening, yet meaningful experience. The Appeals Court decision represents yet another victory for teachers and became one of the most significant First Amendment judgments to come down from the Fourth Circuit in over a decade. It is unanimous, published, author identified, and lengthy. The Order’s Final Word upholding the federal court’s decision: AFFIRMED. I return to the same district but to another school, warmly received by its faculty and staff. Teachers are challenged to become involved in their school system, to defend their rights as citizens, and to take up the mantel for educational reform. Believing education to be the key to making a difference in the world, Maggi Hall devoted thirty years to teaching. She pursued her goal with vigor and enthusiasm from graduate school to the classroom, from establishing programs for emotionally disturbed juvenile delinquents and learning-disabled students, to founding and directing two educational institutions: the Marion County Museum and the Fork Retch Resource Educational Center, both in South Carolina. For the latter projects she received local, state, and national awards. She was named by the SC Wildlife Federation its “Environmental Educator of the Year” and by the National Wilderness Society “Environmental Woman of Action for South Carolina.” But the highest honor bestowed upon her came from a student a decade earlier, a child she had not heard from after hugging him good-bye his last day of school. In 1969, the beginning of her third year teaching she requested an all-Black school; thus, becoming the first and only white teacher assigned to an all-black elementary school in the segregated Durham North Carolina public school system. Five months later all public schools in the county were abruptly desegregated and the transition from one color to mixed interrupted and frightened thousands. It was this situation that caused Hall’s former white second grader, now a retired school superintendent, to remember her. Nominated for North Carolina’s “Teacher of the Year” Jimmy was required to write a synopsis of the teacher that contributed the most to his overall educational growth. He selected Hall from his elementary years, writing of the methods she’d used to alleviate stress in both her white and black second graders when their young lives were disrupted. It wasn’t just desegregation that frightened them but the fact that the whites moved from an urban setting to an all-black school located in a rural black section of the county. It was Jimmy’s mother who tracked Hall down in South Carolina to notify her of Jimmy’s tribute. 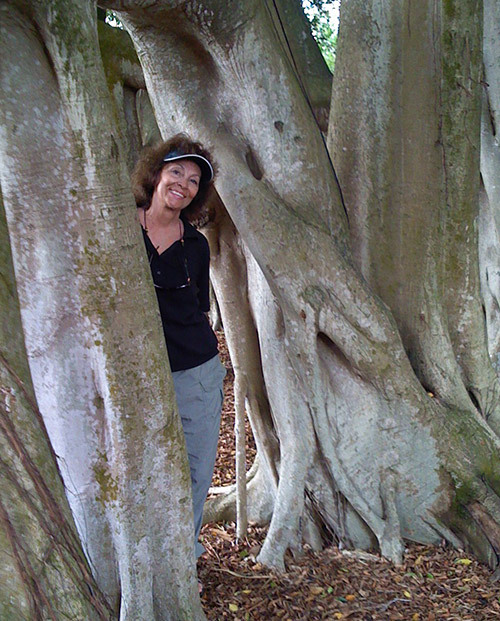 Hall’s vocation was teaching, her avocation, the environment, volunteering for conservation organizations since her teens. She worked to save a river, a successful project featured in Southern Living and national public television. Sponsored by the Richard King Mellon Foundation, “Conserving America: Our Rivers,” an hour-long documentary, is periodically rebroadcast coast to coast. She was featured in a film by the timber industry highlighting her work with resource extraction corporations regarding environmentally sensitive issues. Her successful five-year battle to halt construction of an interstate connector through thousands of acres of wetlands afforded her environmental organization a recognition it rightly deserved: the coveted national “Chevron Corporation Conservation” Award. For ten years Hall edited a bi-monthly, twelve-page conservation magazine. When she retired in 1995 from teaching and moved to St. Augustine Florida she volunteered for archaeological digs in the ancient city, was appointed to the city’s code enforcement board, served on numerous civic boards, and wrote two books: Flavors of St. Augustine: An Historic Cookbook, published by Tailored Tours Publication, and Images of America: St. Augustine, published by Arcadia Press. Both remain in print. When Hall’s husband was offered a job teaching at their alma mater, Stetson University, they relocated to DeLand Florida. Soon thereafter Hall wrote two additional books published by Arcadia Press: The Campus History Series: Stetson University and Images of America: DeLand. Both remain in publication. Hall established her real estate company in 2000, West Volusia Properties. The two-building complex that housed her office took two years to restore. WVP initiated the first restoration award in Volusia County which quarterly honored those who preserved a depressed property. As a Realtor Hall was the overall top producer for the board in 2005 and sold more vacant land and commercial than any other realtor. She initiated MainStreet DeLand’s Annual Downtown Beautification Award and donated $10,000 for the first year to three winners. Today she has lessened her load but one can still contact her at www.WestVolusiaProperties.com. Having served on numerous city boards and private organizations until 2007 Hall resigned from all to create the first non-profit No Kill Animal Rescue group in Central Florida. After 10 years as president she retired with a exhilarating 6,000+ animals rescued and rehomed. Married to her Stetson University sweetheart, Ronald, a Stetson philosophy professor, their family includes two daughters and their husbands, nine grandchildren, three dogs, and numerous grand animals.